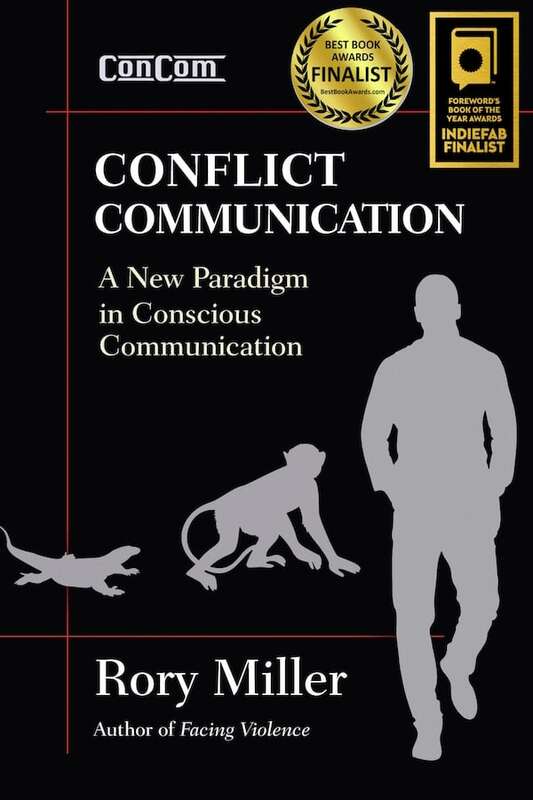 Conflict Communication (ConCom) presents a functional taxonomy to see, understand, and manipulate the roots of life's conflicts. Conflict happens everywhere: at work, with friends and family, among strangers, and certainly in violence. Why did your boss ignore a suggestion that could save millions of dollars? Why do you have the same argument again and again with your spouse? When someone insults you, why do you get angry? Why do bad guys beat up the weak? Each “brain” has a different priority and evolved to deal with different kinds of conflict. They work using different scripts and have a very clear seniority system. No going back. After reading this book, you can never go back. Even if you reject everything in the program, even if you refuse to admit how often your monkey brain has controlled your life, escalations toward conflict will never again be invisible to you.